An orphan and a thief, twelve-year-old Hugo lives in the walls of a busy Paris train station, keeping his existence secret just to stay alive. He desperately believes a broken automaton will make his dreams come true. 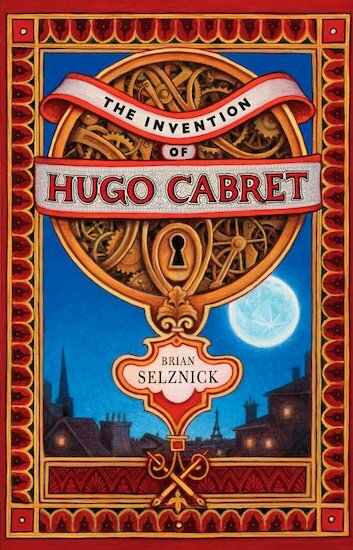 But when – like the cogs of the clocks he keeps – his world interlocks with an eccentric girl and her bitter old grandfather, Hugo’s undercover life, and his most precious secret, are put in jeopardy. A cryptic drawing, a treasured notebook, a stolen key, a mechanical man, and a hidden message from Hugo’s dead father form the backbone of this intricate and spellbinding mystery. Told in words and dramatic black-and-white pictures, it is a cinematic tour-de-force from a born storyteller.